I'm thankful for the close relationship between big engines and big, er, stuff. 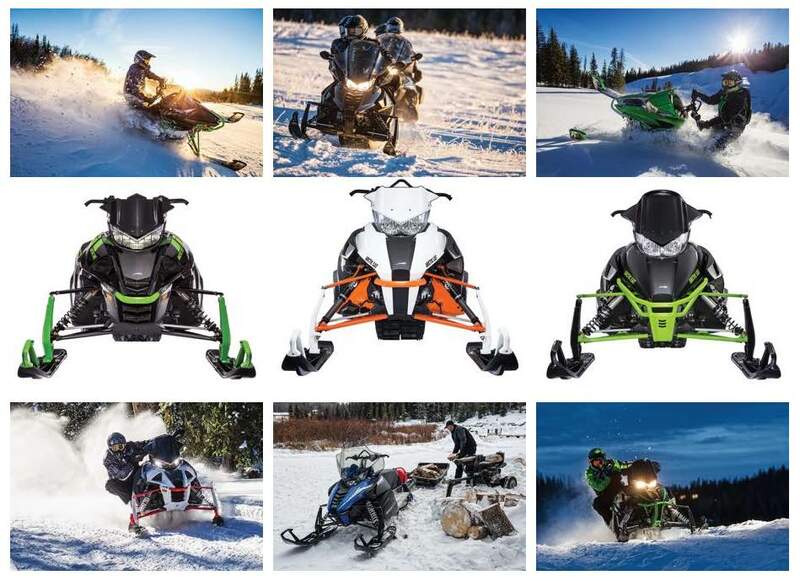 I'm thankful for fast sleds and fast women. I'm thankful that, for as long as men have dreamed up ridiculous photo set-ups for ther machines, there are always one or two women who agree to participate. And I'm thankful it's Friday, Feb. 19, 2016. 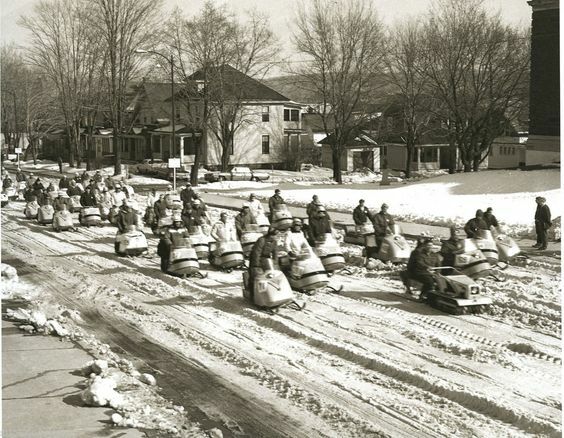 You gotta LOVE it when high school students ride their snowmobiles to school! And it's even better when they do so with one of their instructors. 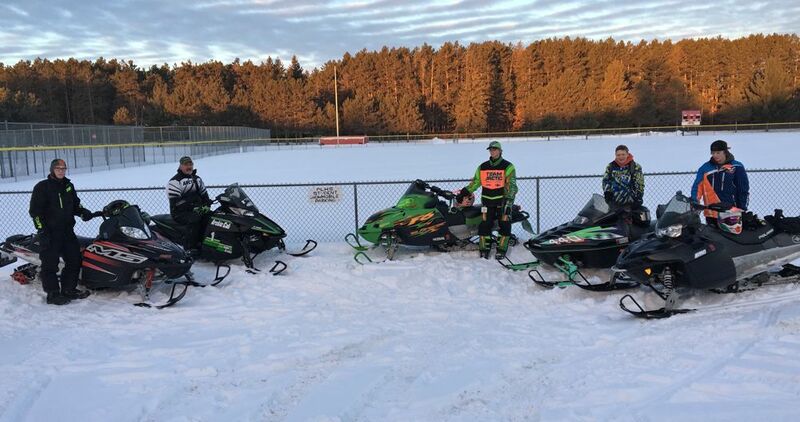 That's what happened yesterday when teacher Dave Guenther (second from left) and four students at Pequot Lakes (MN) High School rode to class. 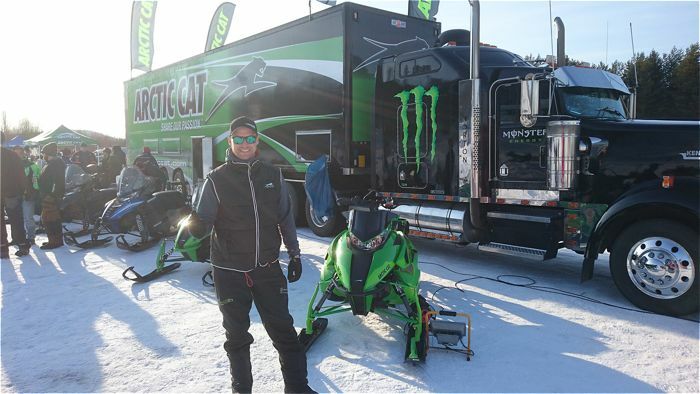 In addition to being the school's art instructor, Guenther has taught snowmobile safety in the Brainerd Lakes area and is the President of the International Snowmobile Hall of Fame in Eagle River, Wis. Oh...and he's a HUGE fan/collector of Arctic Cat snowmobiles. And he's an awesome guy! 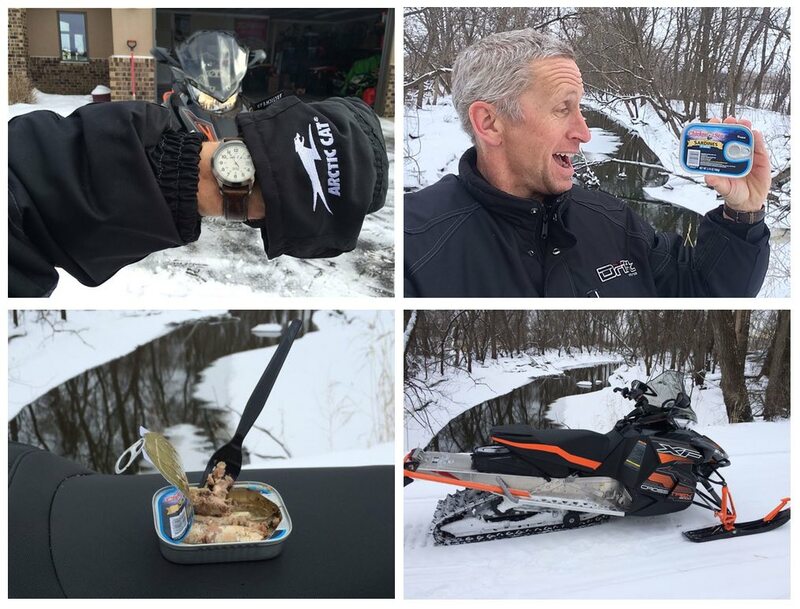 Guenther reports that he will retire from teaching this year (his 36th) so he can concentrate on doing more snowmobile-related stuff. Thanks for being a great teacher and role model, Dave. I'm looking forward to hearing about all your upcoming adventures. 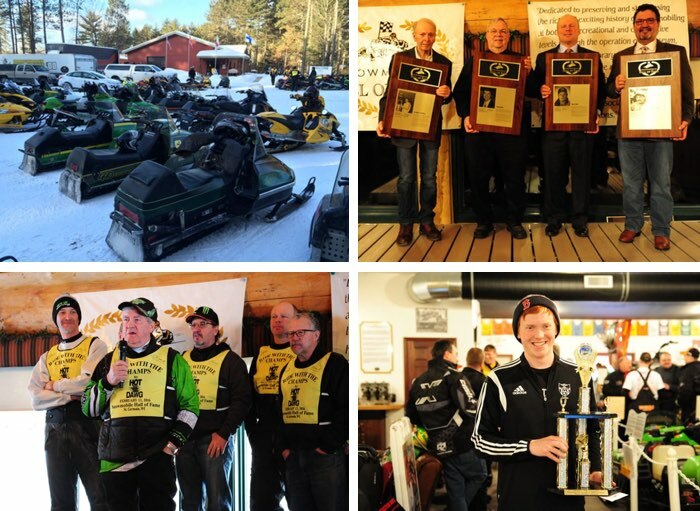 Last weekend marked the 33rd Annual Snowmobile Hall of Fame Induction ceremony and Ride with the Champs. 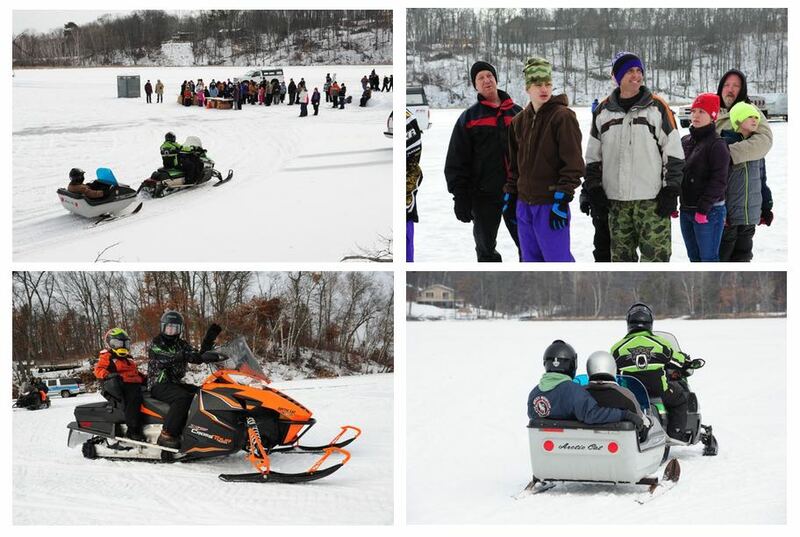 This incredible weekend event in St. Germain, Wis., delivers one of the truly great experiences for snowmobilers whose passion tends towards racing. And it just keeps getting better. 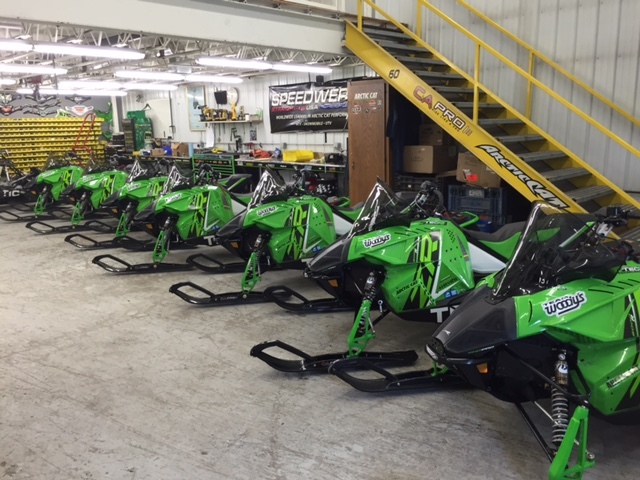 Three of this year's four inductees have STRONG Arctic Cat roots, which led to a decidedly Cat-flavored weekend. 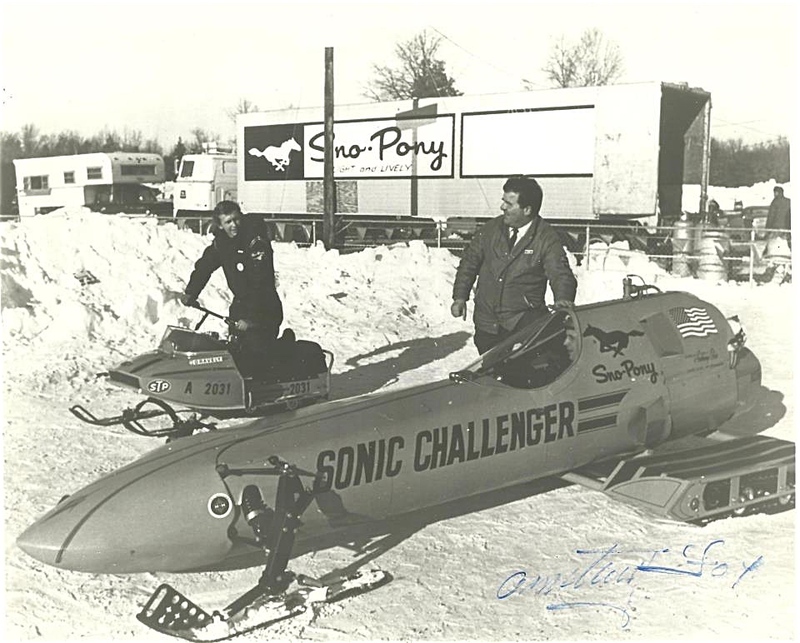 To see, ride with and hear Brad Pake, Steve Houle and Hubert Fixsen -- as well as fourth inductee Tom Zernia -- was an honor I won't forget. They say art imitates life. Please, don't imitate some of this week's featured stories. Avalanche videos are becoming almost regular nowadays thanks to the proliferation of GoPro cameras. THIS AVALANCHE VIDEO has a happy ending, but it's still a good warning to all mountain riders. Snowing snowballs?!? 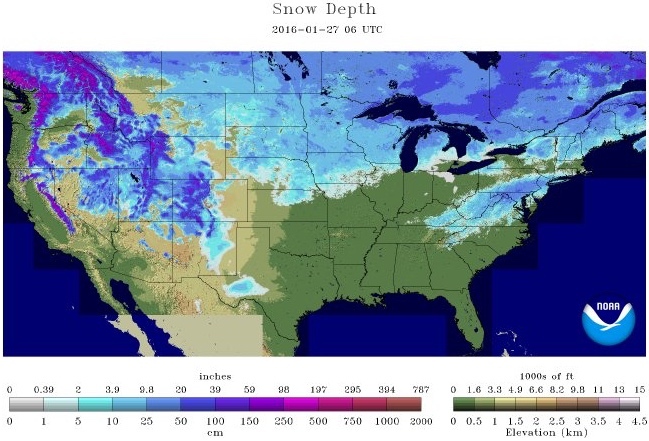 While THIS STORY would be 100X better with a picture, it's interesting to know that nature can produce snowballs. 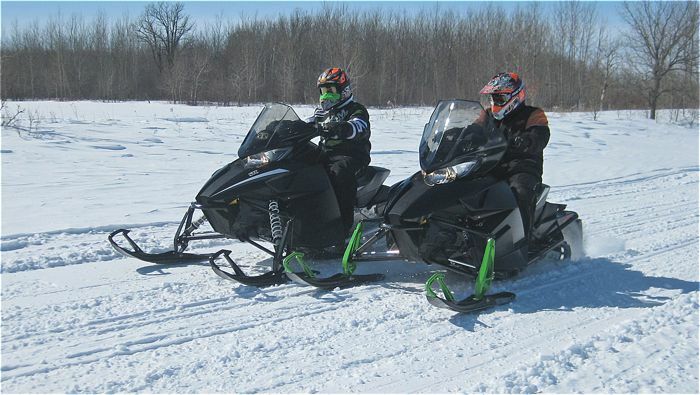 Please, don't ever be THIS GUY, who trespasses with his 12-year-old son on snowmobiles, then flees to leave his son to handle the police. 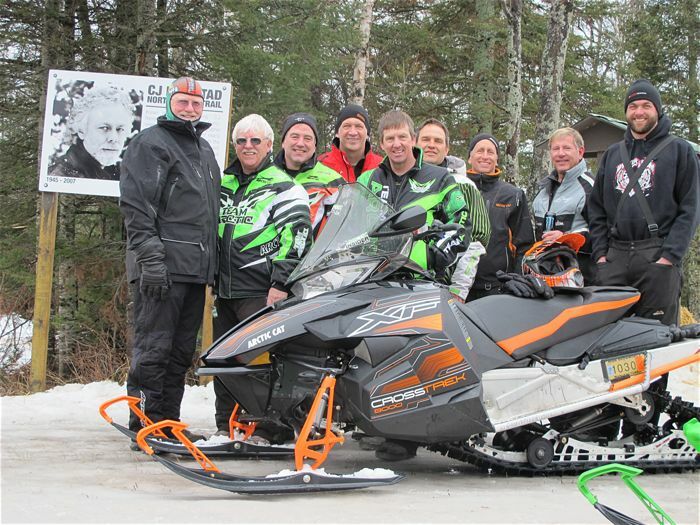 On the flipside, here's a great story about Team Arctic's Hubert Fixsen, who will be inducted into the Snowmobile Hall of Fame this weekend. 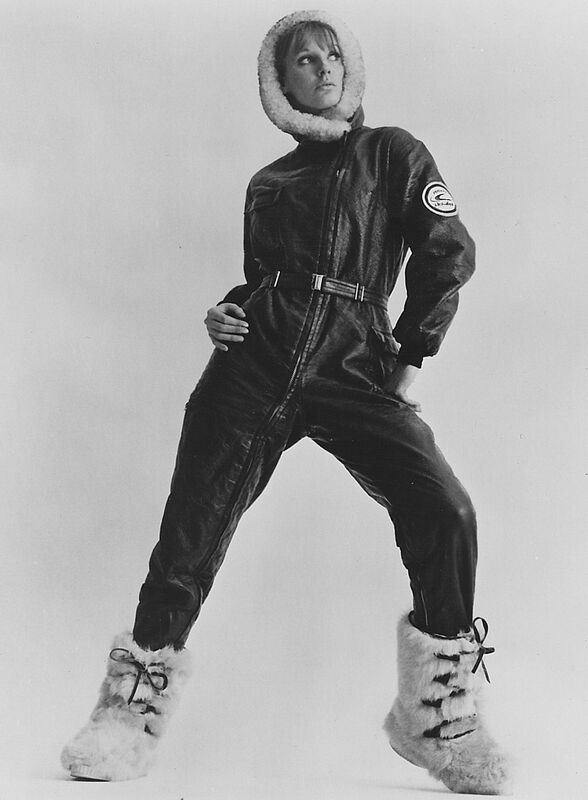 I'm thankful for that special feeling of going commando while wearing a one-piece snowmobile suit. I'm thankful for the endless cycles of fashion, and that what once was cool shall be so again. I'm thankful for furry feet and snow bunnies. And I'm thankful it's Friday, Jan. 5, 2016. 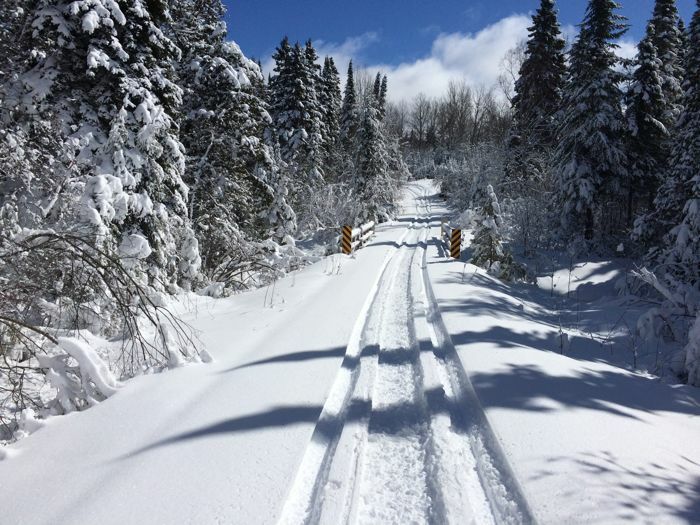 Once a week or so in the winter, I swap the usual weekday lunch break with an hour of snowmobiling. I call it my "Lunch Loop." And dang, is it ever deliciously good! Yesterday Tucker Hibbert won his 9th consecutive X Games Gold Medal (and perhaps his 1,234,456th Pro Final). Here's a link to watch the entire 20-lap final (or you can just watch it above) Congrats Tucker and team! 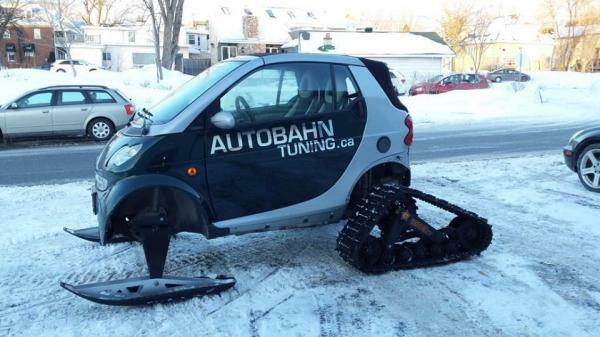 Man, they grow 'em tough and hardy in the farth north, as evidenced by this 71-year-old priest who survived a night at -43 C after his snowmobile ran out of gas. Pretty brazen ride of this guy to ride an unfrozen canal near Cadillac, Mich. Interestingly, he was trying to do so anonymously, but then posts his video to YouTube. 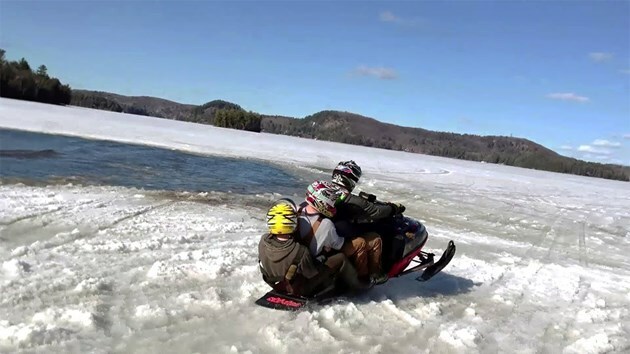 This is a cool story and video showing the recovery of a sunken snowmobile in Latvia.